There are eight airport parking lots to choose from at London Gatwick Airport (LGW) at which you can reserve a space in advance. When you travel to or from London Gatwick, it is a good idea to make everything as easy on yourself as possible. From the quickest way to book your flight to the most efficient way to get from the airport to your hotel, it is all about making life simple. The simpler the process, the less that can go wrong. That is why you should consider booking parking at London Gatwick airport in advance, and make one more step in the process easy and worry free. 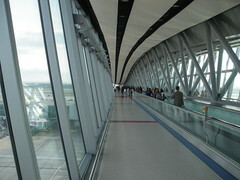 London Gatwick Airport is the second-busiest airport in London, second only to the giant of Heathrow. It is located in West Sussex, 25 miles from London between Horley and Crawley. In addition to the usual airport shops and dining establishments, Gatwick also has a children’s play area to help keep the kids entertained during long waits for the next flight. For traffic information, see the BBC website.